“Papyrophilia” means an obsessive love of paper, and it seems to be the nearest I can get to an obsession over stationery – or writing equipment and office supplies in general. In the normal course of events, I dislike shopping. The only exceptions are poking about in local markets – home or abroad, and stationery shops. It’s a visual thing yes, there are so many eye-catching designs for stationery now. But it’s also more than that, the sensory pleasure of opening a new notebook, that first fresh and unsullied page, then sinking a lovely smooth-writing pen into the velvet of some quality paper. No wait, it’s also the smell, that odour that reminds you, in case you had ever forgotten, that paper is made of wood, trees. It can be woodsy, fibrous, cellulose, or pulpy, all depending on the paper quality. The common signs of compulsion are there: any excuse to call into a Paperchase or other stationery outlet; some loss of control when I do so, buying more than I need, spending money I cannot truly afford. 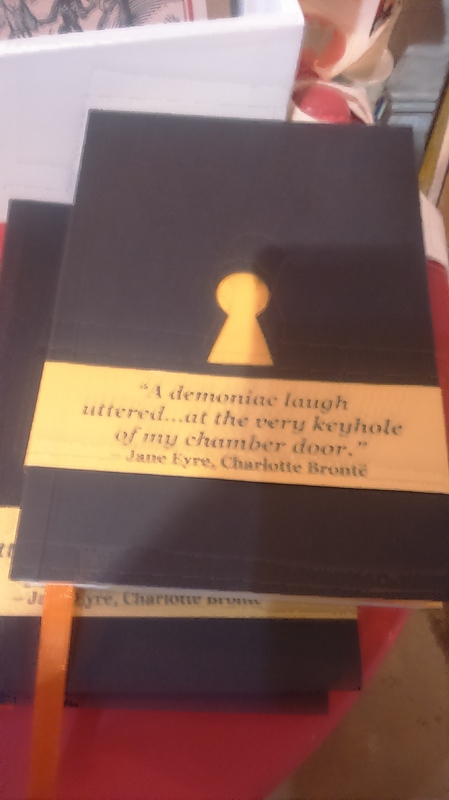 Possibly even lying, to myself and others – no, I do not really need yet another notebook, the reason to buy it is fabricated. Afterwards, perhaps, there may be regrets. Not always. Smartphones and tablets, yes, but just as many insist that nothing will replace their traditional paper books, so I say nothing will replace the thrills of pen and paper. Not completely. Is yet another notebook necessary? 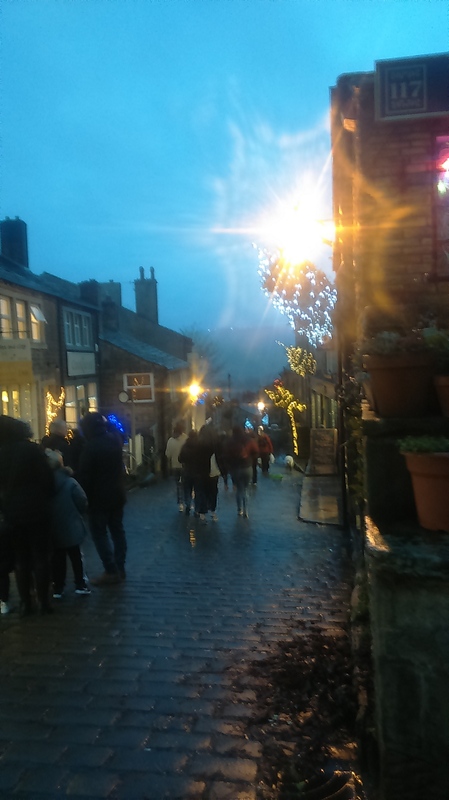 We visited Haworth this weekend, home of the Brontë sisters as they grew into adulthood and famous also for it steep, cobbled Main Street, now largely lined with shops filled with arts, crafts, and gifts. It’s only around twenty-five miles from where I myself grew up, a little less than that from where I now live. Visiting there as a child, I remember the gift shops were far tackier in their souvenirs, but there were also ‘normal’ shops, a newsagents, butchers, greengrocers, now gone and replaced with a mini supermarket opposite the Victorian steam railway station. It was a Victorian-feeling day, too, dank, but ‘Christmassy’, with the lights and largely nineteenth-century houses, and a low-hanging ‘Dickensian’ mist. And it’s getting dark just after 4p.m. now. As usual, I fatigued after about three stores, though my daughter, one of the world’s ‘shoppers’ (it skips a generation, I believe), coaxed me into more. I looked everywhere for my drug of choice. Alas, for all the beautiful things to buy, there was little in the way of stationery. We came home and later I am online, salivating a little. The wrapping paper and luxury on Chase and Wonder; the notebooks on Sparrow and Wolf; the utilitarian chic at Muji; even the bright budget fun of Hema. I can *totally* relate to this post. Oh, the number of times I have bought another notebook I do not truly need… I love your visceral description of what it is like as well, and how appealing paper can be to the senses. Beautiful. Ah, whenever I admit my addiction, others confess. Maybe it’s the promise of the new notebook we also lije, thanks-pages possibilities. 😊I totally understand your love of stationary shops, im exactly the same with hardware stores, looking touching and opening toolboxes near gives me an orgasmic thrill. I know what you mean, for me the old-fashioned type of hardware store or ironmongers, so few left, the rows of utilitarian items in wood and zinc. Thank you. Haworth is pretty, if busy with tourists. When we visit the Parsonage Museum, where the Bronte sisters grew up, I marvel again at the miniature notebooks they made and wrote their early stories in. I have a terrible obsession with stationary; especially notebooks, greetings cards and postcards. They never get used because I like them so much…..don’t get me started on Bic Crystal pens!! Ah, a fellow obsessive. 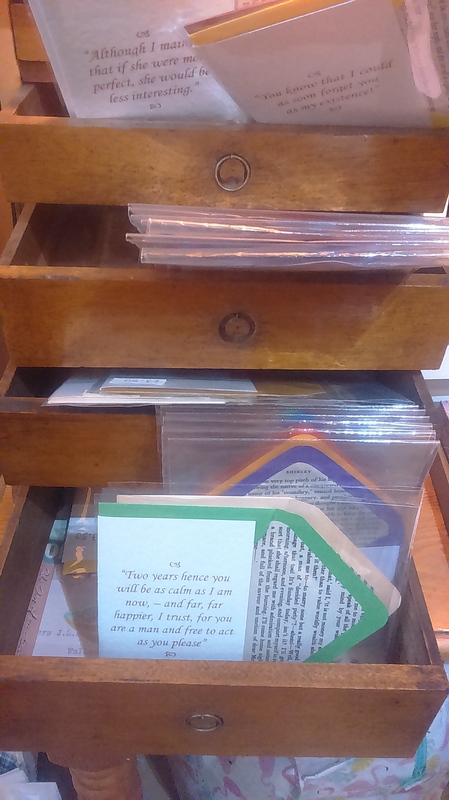 I also know what you mean about the postcards – even though I am never quite sure what to do with them, the loveliest ones can be hard to part with. Bic Crystal eh? I have favoured the Uni-ball Jetstream, but I’ll look out for that one. Just taken a peak – want a pack of the coloured ones! They are such good writers. I have a giant Bic Crystal full of Bic Crystals and a giant Bic Crystal cap full of…..yep you’ve guessed it!!! Bad luck, as allergies go, that’s an unfortunate one. I read somewhere that contact allergy to newspapers can be to soy, but think that’s the ink not paper. Acid free papers have greater longevity. I know what you mean, almost hate to spoil a lovely new notebook with my scrawl. Yes, alas, the pressing in of the pen means it’s stainless no more.